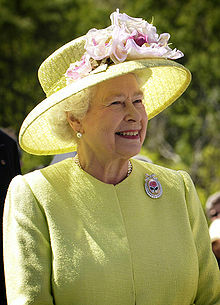 My thoughts were with The Queen today as she marked the 60th year since the start of her reign. I think she is truly remarkable. This is history in the making - only Queen Victoria has reigned for as long as our current monarch. David Cameron, Elizabeth II's 12th prime minister, said this "With experience, dignity and quiet authority she has guided and united our nation and the Commonwealth over six varied decades." I couldn't agree more. It is hard to believe that she was not much older than me when her father died whilst she was on an official visit to Canada in February 1952, and she returned from that visit as the ruler of our country.